When it began construction of the New Leaksville neighborhood in the late 1910s, Marshall Field and Company erected this two-story building to accommodate stores and community facilities for the surrounding mill village. The Five Forks Mercantile (also known as the Five Forks Grocery) originally occupied the first floor of the building. R. E. Wall is believed to have been the first owner of the general store and grocery. His first manager was a Mr. Rourke, followed by Fred Orrell. Later owners included Mal Wimbish, G. T. Sykes and Cletus Tulloch. Until Burton Grove Graded School was built in the 1920s, the second floor accommodated the mill village's public school which was augmented by "overflow" classrooms and a library in the nearby house at 987 Harris Street. Among the school's early teachers were Mrs. Claudia O'Brien, Miss Emma Carter, and Mrs. Moran Hopper. 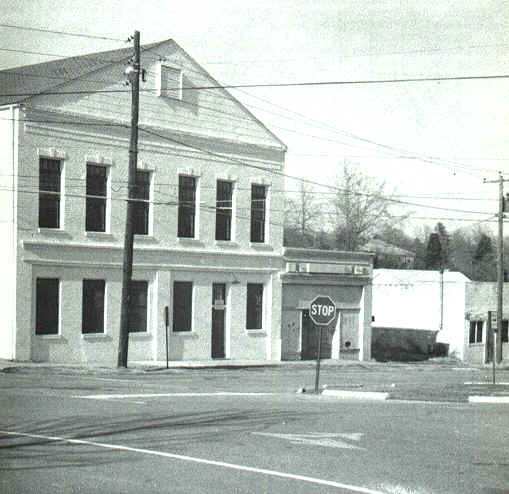 The one-story wing on the north side of the building (below right) housed a barber shop (which provided hot showers before the YMCA was built and bathtubs were installed in the mill houses) and later a laundromat. Garland and Everett Barnes operated the barber shop in its early days. 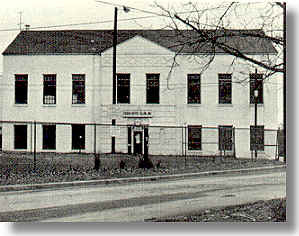 When the Leaksville YMCA, located across the busy Five Forks intersection, burned in 1936, the entire two-story portion of the commercial building was adapted as the town's new Y (see announcement here). 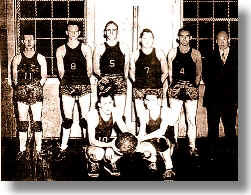 Organized in 1920, this principal social and recreational center for the mill neighborhood was fully equipped with athletic equipment and sponsored basketball tournaments, movies, dances, and other events regularly. 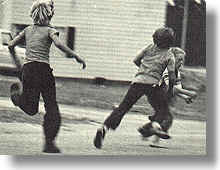 After the Y moved to another location in the early 1950s, the building was purchased by the Leaksville Businessmen's Club which began leasing it to the recently formed Boys' Club of Leaksville in 1956. 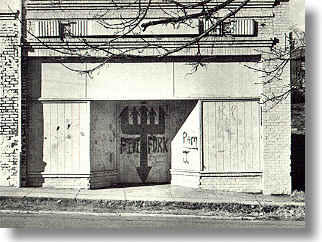 The Boys' Club (now the Eden Boys' Club) eventually purchased the building, which it continues to use today.